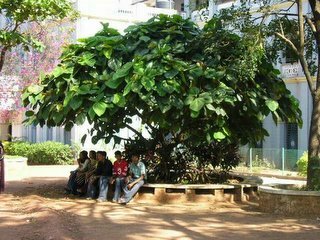 My college life is incomplete without the mention of the Famous Fig Tree other wise called ” The Katte”… here is where frenships happened…. relationships sparng and then finally….. we sang the good bye song…. Life here was something worth a treasure….